The next morning, drain the soaked beans. Rinse the beans, and rinse the pot they were soaked in. Now, put the rinsed beans back in that same pot, and cover with 1-2 inches of water. After boiling, drain beans one last time. 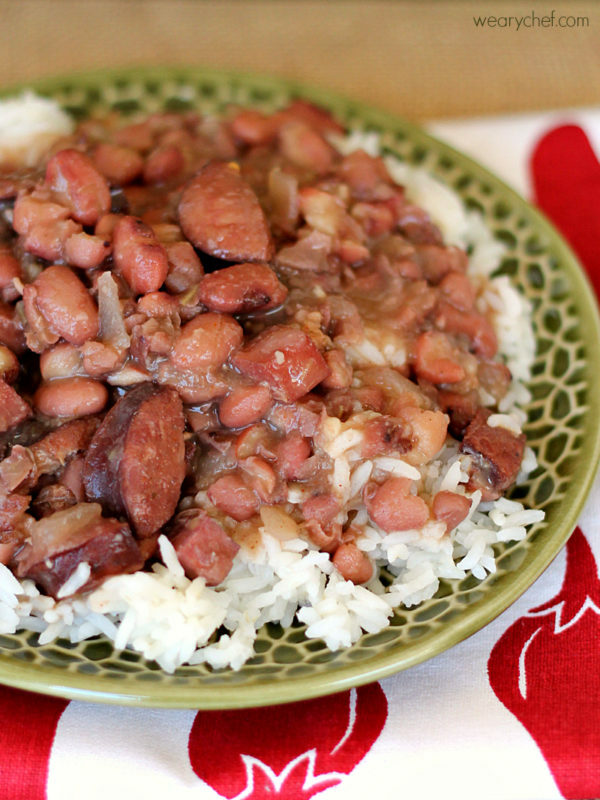 Place pre-boiled beans and all other ingredients except cooked rice in the slow cooker. Add about 7 cups of water, enough to cover contents with about an inch of water. Stir, cover, and cook on high 6 hours or low 8 hours. Before serving, taste beans and add additional salt and cayenne to taste. Remove bay leaves, and ladle beans into bowls over cooked rice.